Pier & Waterfront Solutions (PWS) is widely known for dependable and convenient install and removal services. You don’t have to raise a finger. Check out the “Testimonial” section on the Home Page for actual customer comments. The Testimonials speak for themselves. Or ask your neighbors. 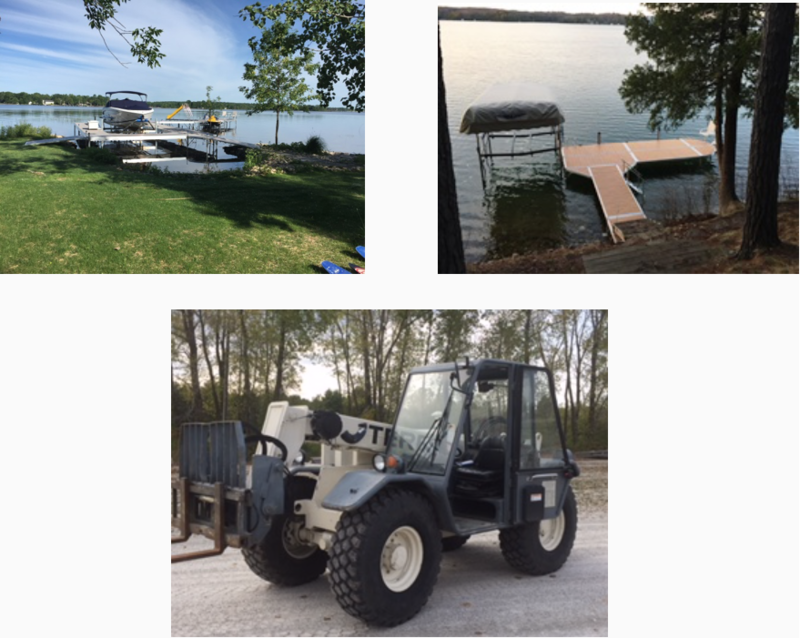 With many marinas, DNR projects and OSHA-compliant fishing piers completed, we take great pride in our construction and the enjoyment they bring. PWS continues to expand our shoreline business. 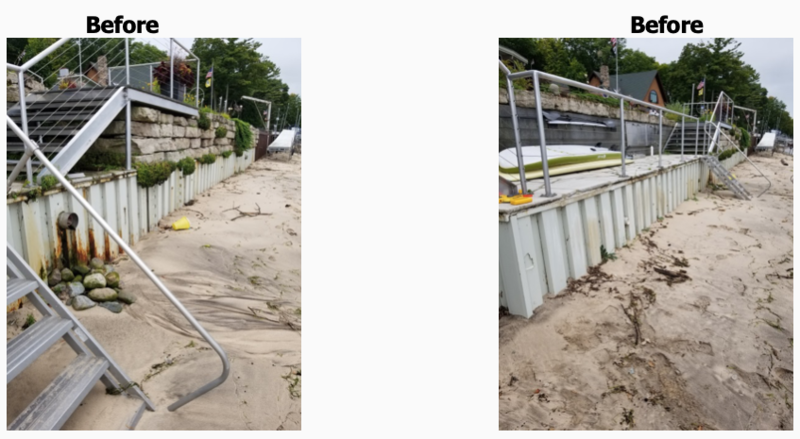 If the ice has destroyed your beach, it’s in need of revitalization, or you want a new look, you can depend on PWS to build it the way you want. 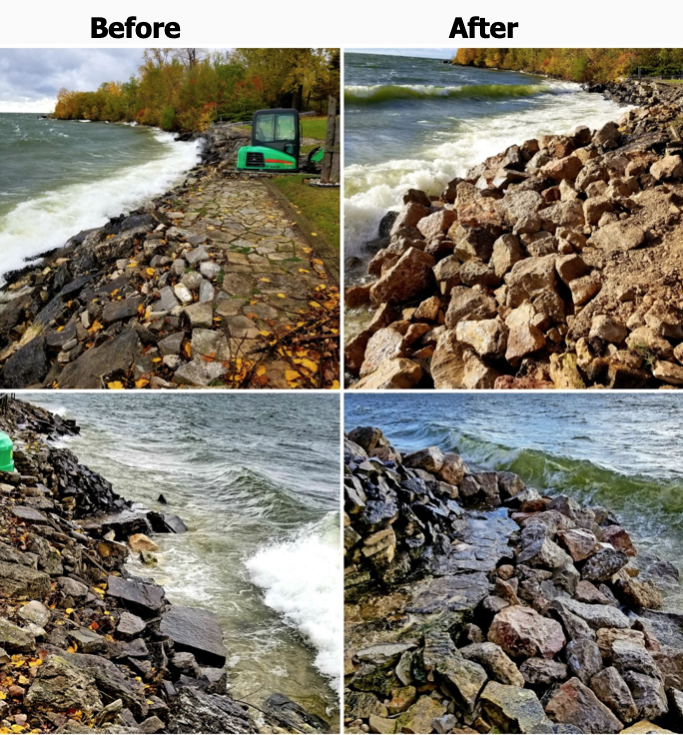 From simple shoreline reconstruction to major renovations – PWS is the place to go. No matter how rough or high the shoreline is – PWS can build your stairs in wood, aluminum or steel. Give yourself a safe, convenient way to get to the shore. 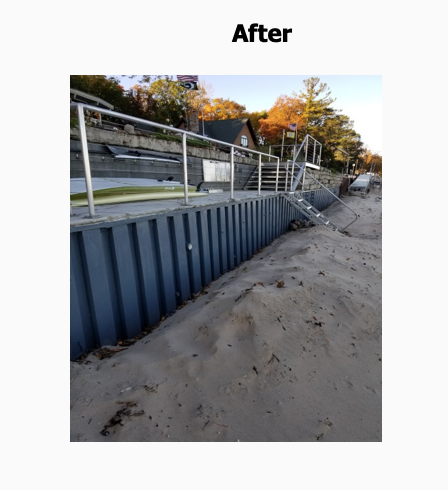 PWS makes it safe for your friends and neighbors to access the shoreline. We design with your comfort in mind. Enjoy your waterfront experience to the fullest. PWS will design a stairway that fits your needs. Decks of all shapes and sizes are available. Complicated or straightforward, we can provide the deck of your dreams. Trust PWS to do the job right. Do you have a friend that may be interested in this information? Please share a link to our site with them.